K 2013 exceeds ENGEL AUSTRIA’s expectations. Spotlighting the topics of system integration and automation, ENGEL’s total of 25 machine exhibits focused on the future buzz topics of the global injection moulding industry, attracting many new customers in the process. Visitors were excited above all about the new ENGEL CC 300 control unit generation, which takes the overall efficiency of the system to another dimension. As process integration and automation increases, the complexity of the production process rises, and this poses increasingly tough challenges for control technology. The more intuitive and convenient the control unit is, the more safely and efficiently the production system can work. “The control unit has become an important factor of efficiency in integrated and automated system solutions,” says Peter Neumann. Of all the industry-specific solutions on display, it was the automotive exhibits that attracted the majority of visitors to the ENGEL trade fair booth. 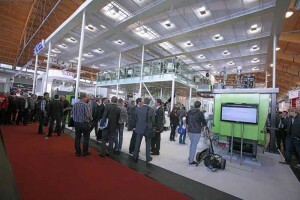 Focusing on lightweight design technologies, ENGEL gave trade fair visitors a sneak preview of current research projects. For example, ENGEL, in collaboration with partner ZF-Friedrichshafen, has established another milestone in the form of the first one-shot process for the production of composite brake pedals in Düsseldorf, and in two different ways. Firstly, the production cell displayed at the fair, which is nearly production-ready, achieved previously unknown productivity figures, and secondly with the geometrically and load-optimised component, which proves that fibre composite materials can also replace steel in safety-relevant areas. But it was not only the automotive applications at the ENGEL booth that made the extent clear to which process integration and automation can offer a competitive advantage. ENGEL takes this one step further: after all, training and service are fixed components of ENGEL’s system philosophy. Under the ENGEL plus banner, the machine manufacturer showcased its service products and services at K 2013 in a separate exhibition area. In great demand: the new ENGEL protect and ENGEL protect+ maintenance packages, which make maintenance costs for injection moulding machines and system solutions calculable from the start. “Our aim is to lead the field globally when it comes to creating customer benefit,” says Peter Neumann. 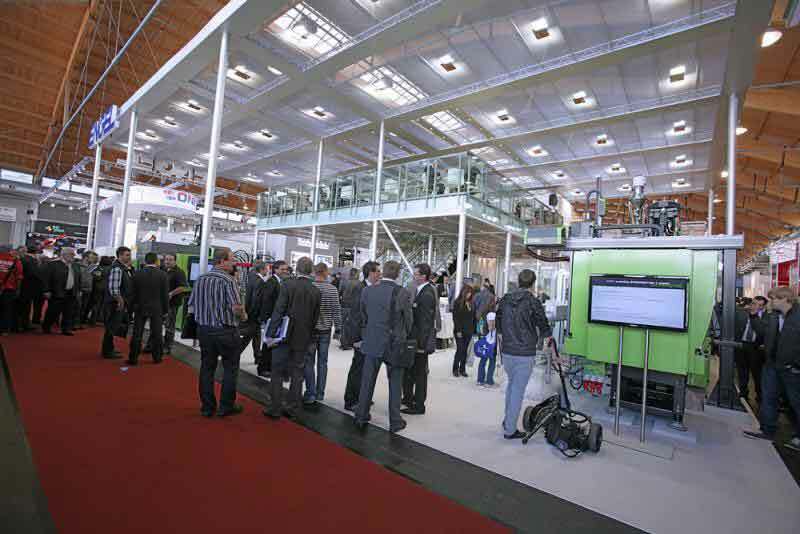 The visitors at K 2013 experienced at first hand that ENGEL keeps its promises.